According to wordpress.org, "WordPress is open source software you can use to create a beautiful website, blog, or app. 27% of the web uses WordPress, from hobby blogs to the biggest news sites online. Extend WordPress with over 45,000 plugins to help your website meet your needs. Add an online store, galleries, mailing lists, forums, analytics, and much more." Do you want to know how to create, edit and manage wordpress websites? 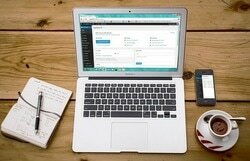 Or do you want to start a career as a freelance wordpress developer? then this course is designed for you which will guide you through all necessary steps to become a successful wordpress developer.